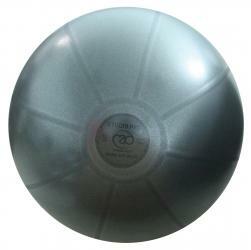 Fitness-Mad's Studio Pro Ball is rated at a massive 500Kg and is one of the toughest balls available. These balls have been extensively tested by SGS Laboratories for burst-resistance and static loading. Safety Tests: SGS Labs tested as burst-resistant at 750Kg load. Rated as suitable for 500Kg load SGS Labs tested with a static load of over 1.7 tons without failure.